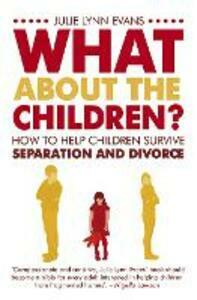 More than 28 per cent of children in the UK are affected by the separation of their parents. Often they have to cope alone. Many adults tell themselves that children are resilient, while others feel they are hurting the people they love the most.In this book, Julie Lynn Evans will help you to do what she does professionally, by identifying with your children and providing powerful practical tools to overcome their problems. With case studies to illustrate a whole range of symptoms, Julie Lynn Evans demonstrates the myriad ways in which children express their emotions under stress. From the 'dragon child' to the 'too-good child', her sensitive and calm voice will reassure you at a time when your own world is under great strain.